I realize that due to the fact that it's New Year's Day some, most, or all of you are reading this through a bleary-eyed hangover. Not to worry, just press play on any or all of the following yacht rock jams, and let it be the soothing soundtrack to your reading experience. By the time you're done the calming tunes will have washed you ashore on the beach of an island upon which alcohol-induced dehydration is merely a myth. Bills coach Rex Ryan will be attempting to keep his former team out of the playoffs in this one. Perhaps he's planning on doing it by simply filling up the doorway to the postseason with his body. Wait, he's not even that big anymore. Gastric bypass surgery has ruined yet another joke. One thing's for sure, Jets fans wouldn't be able to stomach a loss; it would eat away at them for the entire offseason. But I don't believe that New York will choke. Is it possible that the Patriots intentionally lost to the Jets last Sunday to help keep the Steelers out of the postseason? They really don't want to see them in the playoffs. That's taking it to a whole other level. Of course, this theory is being purported by New England apologists who would rather not just face the fact that they lost, in part, because Bill Belichick decided to kick off in overtime. Seems like he out-thought himself on that one; it makes one wonder if he'd try the same thing in a playoff game should that situation arise. I'm going to do everything in my power to make sure that that's exactly what happens. Don't ask how. Even if I explained my methods to you you probably wouldn't understand. The Falcons have managed to win consecutive games, but it's too late, there is no longer any chance of them nabbing an NFC wild card. They're like a student who's desperately trying to do enough make-up work so that he can graduate high school. Sorry kid, you're stuck here for another year. And guess what, the junior class chicks are nowhere near as hot as your graduating class. Bummer! With their loss last week the Bengals have positioned themselves as the likely #3 seed in the AFC, which would result in perhaps the tensest first round home playoff crowd in recent memory. Not only has Cincinnati lost in the Wild Card round the last four seasons, they also got bounced in the same spot after '05 and '09. By the way, that '09 loss was to the Jets, a possible Wild Card opponent this season. It should be uncomfortably fun to watch no matter what happens. The Steelers may have blown their chance at the playoffs in a lackluster loss to the Ravens. Sorry, 'lackluster' may not be a strong enough adjective, let's go with 'unconscionable.' It just doesn't make any sense, there's no rhyme or reason to it. If you wanted to make the argument that the universe is a series of random events, that would be the game to point to. In fact, I'm pretty sure it was directed by the Coen brothers. I expect Pittsburgh to come out and get the win this Sunday, but then again, expectations are only a taunting mistress, existing only to inherently disappoint. One of the most interesting subplots of the Jaguars' season has been the predictable and satisfying weight gain of former Jacksonville running back Maurice Jones-Drew. He pops up every so often on the NFL Network, and each time I see him he's heavier than before. Let me be clear here, I'm not attempting to body shame MJD, I'm just saying that I thoroughly enjoy when a former pro athlete who's been through years of rigorous workouts and stringent dieting retires, says "Eff all that," and proceeds to eat and relax with great enthusiasm. 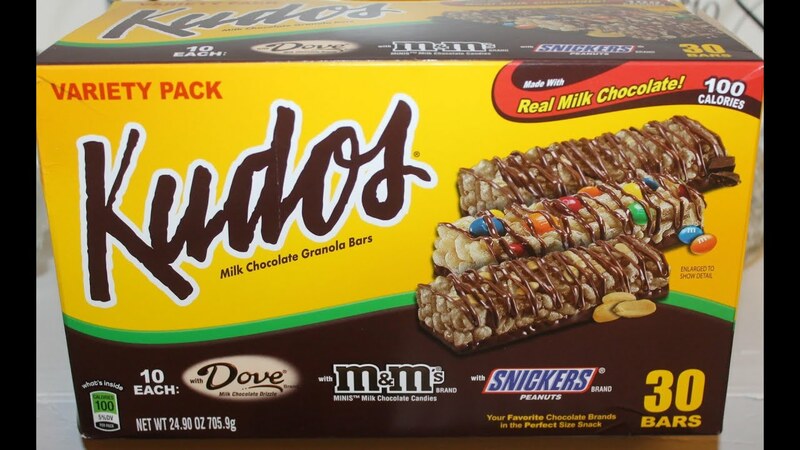 Kudos to you MJD ... as in the candy bar ... go grab yourself a Kudos. It's possible that Stephen Morris, Ryan Lindley, or Josh Freeman will start at quarterback for the Colts. This is such a ridiculous predicament that the jokes practically write themselves ... Umm ... Uhh ... Ok, I guess the jokes aren't writing themselves. Let's move on. Unbelievably, with one game left in the season Indianapolis has a chance to win the AFC South with, to use a stat normally reserved for baseball, a magic number of 7 ... Or maybe even higher, the various permutations get pretty confusing. All I know is that many things have to happen for the Colts to get to the playoffs, and it begins with the Titans rolling over in an effort to maintain their #1 pick in the 2016 draft. In one of the more hilarious plays I can remember, Kirk Cousins performed a kneel down with no timeouts and a clock ticking under :10 in the first half of Saturday's win over the Eagles. He clearly wanted to spike the ball but had a momentary lapse in judgment, or awareness, or motor skills. No matter what the impetus was, I'm thrilled that it happened and thankful that I was able to witness it. I'm now left to wonder what would have happened if someone had told Cousins to spike the punch at the team Christmas party. I'm not sure either team will care about winning this game, which should make it extremely enjoyable. Chip Kelly was fired as the Eagles coach and general manager this week. My question is, was he fired from both positions at the same time? What I'm getting at is did Eagles owner Jeffrey Lurie make Chip the GM fire Chip the coach? And what exactly would that have looked like? Personally I would have just done it by e-mail to avoid confrontation. These are two of the six NFC teams that are currently 6-9. What a bunch of juvenile jokesters. Clearly they saw the direction their seasons were going and they all thought it would just be soooo hilarious wind up at 6-9 heading into the final week of the season. Maybe they didn't take into account what would happen if a little boy had to ask his father why he was laughing when they were reading the NFL standings together. Still think it's funny NFC teams?!? Me too! Great gag guys! If nothing else it just promotes sexual education. Even Cam Newton would have to admit that the Panthers' effort last week was pretty drab ... I'm losing steam folks! But hey, aren't we all? We're at Week 17 after all. It's been a long season of drinking, eating poorly, screaming at TVs and people, and punching stuff ... You all did that too, right? Thanks to the aforementioned Carolina loss last Sunday, this game now features the hottest team in the NFL. Sorry Derek Carr, I meant in terms of winning streaks, not attractiveness. Besides, you wear too much mascara bro, it looks desperate. The Chiefs still have a shot at winning the AFC West, so look for them to be all systems go en route to their 10th straight victory. The Al Jazeera report regarding Peyton Manning and HGH seems scandalous and possibly damning, but I tend to believe that the drugs were actually being used by Manning's wife. The reason I believe that is because of another tidbit that came out this week: during his rehab in 2011 Peyton Manning regularly watched Hoda and Kathie Lee on The Today Show. So it's clear that a few years ago the Mannings were doing attempting a gender swap. Mrs. Manning was beefing up while Peyton was doing the most feminine thing he could think of. I'm not even going to begin to imagine what might have been happening in their bedroom, but I'm willing to bet that their safe word was "Omaha." With a win over the 49ers, the Rams would finish 5-1 against the NFC West this season. It's an impressive feat that the St. Louis players will be able to tell everybody about at their various playoff viewing parties. To which the other guests will reply, "You already told us that five times. Also, what's your name? Like who are you here with?" Man, that's going to be pretty embarrassing for those guys. The Cardinals clinched the NFC West a couple of weeks ago, rendering this contest merely about playoff seeding. However, I believe the Seahawks should attempt an age old pro wrestling tactic and challenge the Cardinals to put their title on the line right here, right now! C'mon, 'Zona, you say you're the champ, why not prove it in the ring (field)?!? Afraid you'll lose? After hearing that the Cardinals would be left with little choice but to make this a title match. Bold pick CriColl, but I know better than to go against you. You're so smart. Never leave us again. I don't know what we'd do ... Ahhumm, uh anyway, yeah I'll go with Minnesota as well.